OLD PARKED CARS. 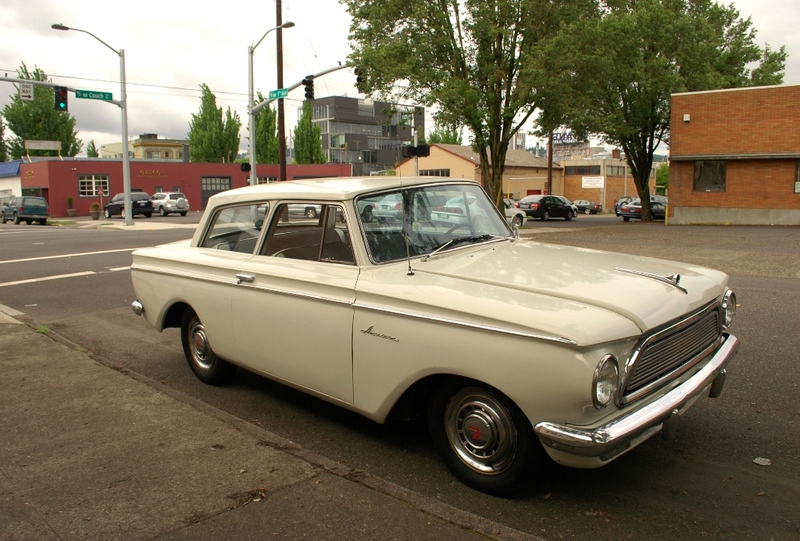 : 1963 Rambler American 330 2-Door Sedan. 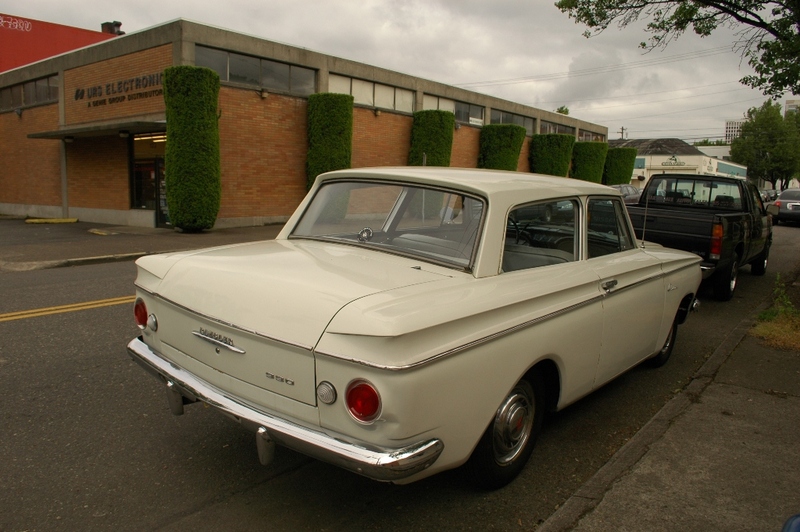 1963 Rambler American 330 2-Door Sedan. Killing me with this one... 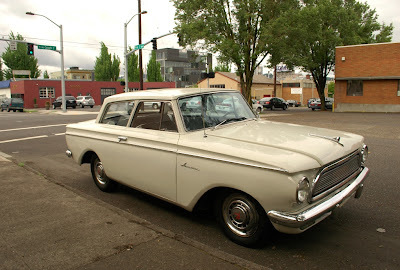 I had my wife convinced that she needed one of these and she changed her mind to a Falcon of a similar vintage instead... though I don't hate her choice... I still think it's wrong. Good Lord! With that profile, they could make it into a pickup! who could need more car than this? so so much style and so much space in such a little package! 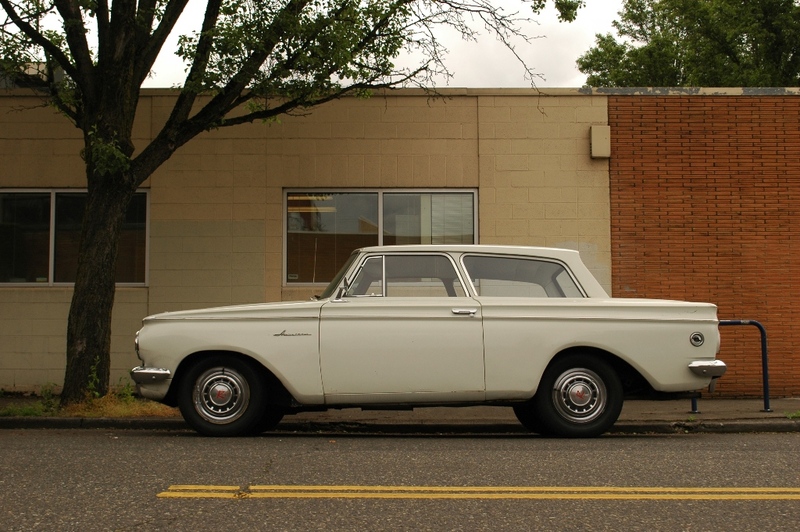 i love the "2-door post." I saw a 440 Rambler recently, but the profile was not quite the same as this, more coupelike and a smaller roof-box-thing. It was also turquoise 'n' white, two-tone.